Do you take your dog(s) when you go riding? Why or why not? 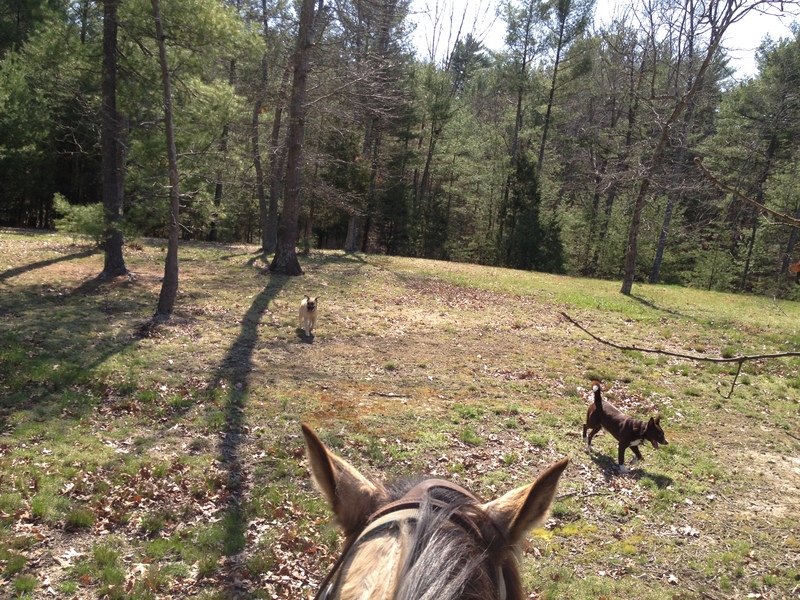 Riding horses and taking your dog(s) along I have found has some very differing opinions. There are some stables that do not even allow dogs on the property. Perhaps it is because of the different types of riding that is done. There were no dogs at the riding school I attended years ago. Plenty of cats, but no dogs. 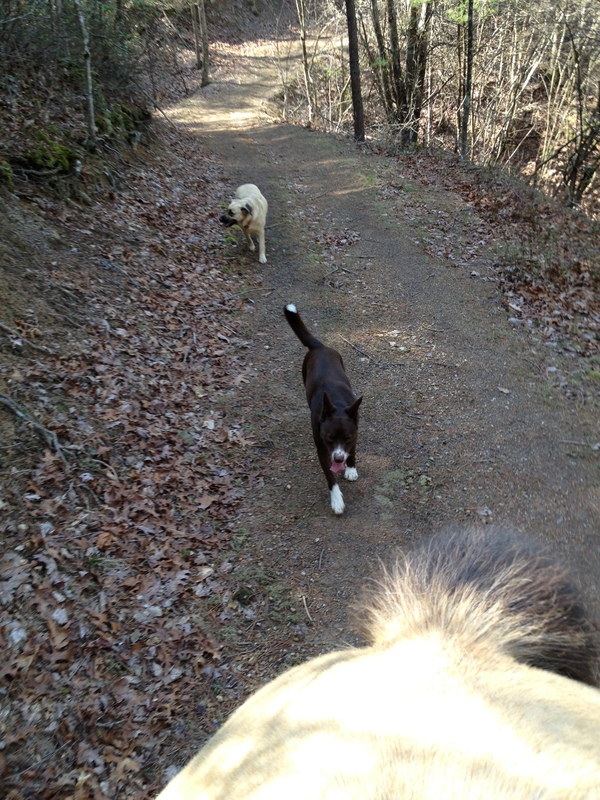 Whereas, the livery stable where I worked for years giving trail rides to tourists had multiple dogs. Here at Blue Rock Horses, we like riding with dogs. 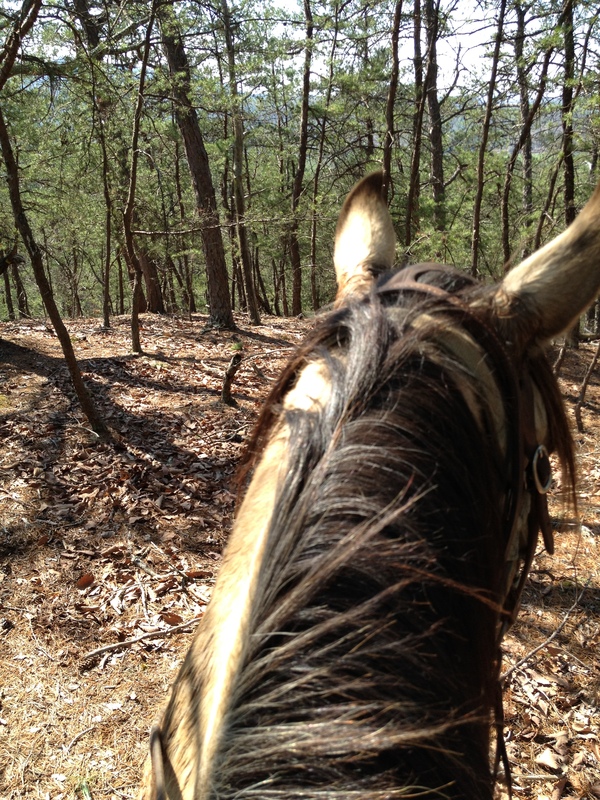 We ride in the mountains where there are not many people nor riders. 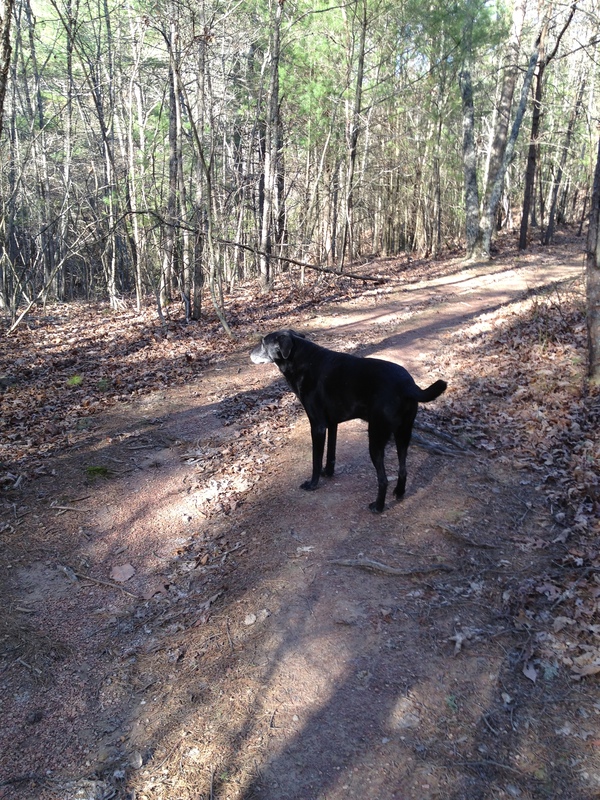 Rather we see deer, turkey, quail, snakes, turtles, and other wildlife. Although we have never knowingly run into bears. Our dogs are what we call our “scouts”. That is because they run in concentric rings around us as we ride. They see many things before we do, thereby alerting us of our surroundings. They will run the wildlife off long before we arrive. This is very helpful. 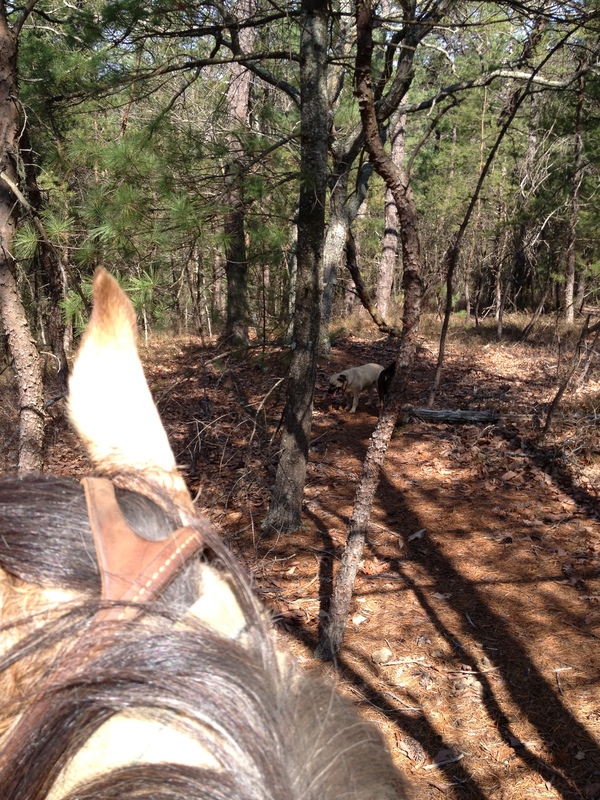 Flushing a flock of big, wild turkeys can spook the stoutest of horse and rider. Thanks to the dogs though, this is rarely an issue. Even if your horses are accustomed to dogs on the trail with them, they can still be spooked by their sudden appearances from nowhere. It is good to keep an ear and eye out on their whereabouts so as not to catch anyone off guard. Horses watch the dogs with their eyes and ears. They are aware of them, and some horses “look” for any excuse to spook. Know your horse. Riders need not only their “horse brains” on, they also need their “dog brains” on! Water can usually be found in the mountains by thirsty dogs. If the ride is not too long they will be fine until the end of the trail. If the trail is a long, hot one everyone will need water, plan accordingly. We have carried water in our saddle bags many times. Water should always be part of the regular gear packed in the trailer when heading out for a trail ride. Breakdowns and/or other problems could arise. Stay alert, keep an eye and ear out. There are amazingly wonderful sights and sounds on the trail. With care and attention it will be a ride to remember, while looking forward to the next.